Interested in touring the magnificent trails? Take a tour with us. Future tours and programs will be determined at the January board meeting and the calendar released in February. The trail sleeps in the winter cold. If you are eager to tour the trails on your own, download the Northeast Kansas and Northwest Missouri Auto Tour Interpretive Guide from the National Park Service. NPS offers many other National trail guides and interactive maps that make planning your trip on the trails fun and easy! Oxen at Whistle Creek in St. Joseph, Mo. Cindy Weaver, OCTA member and outstanding speaker and educator, informs the group regarding trail history. 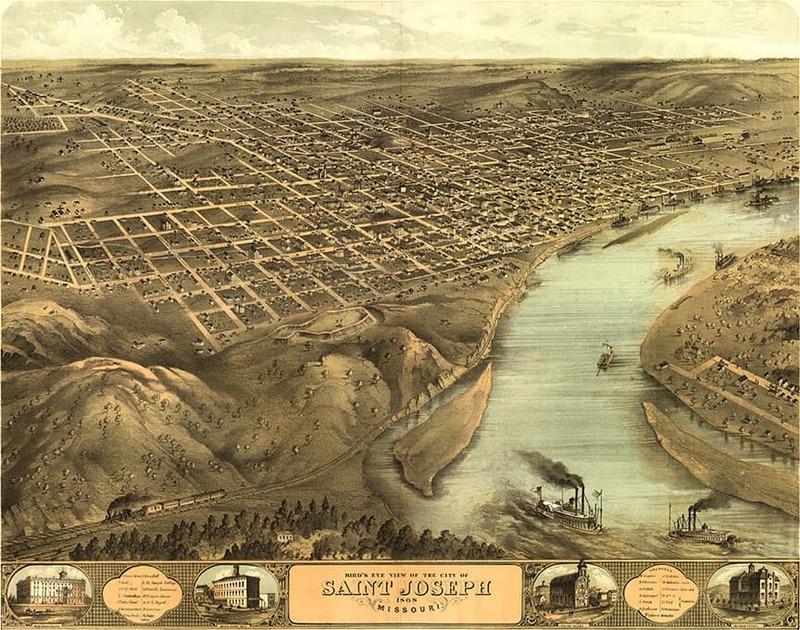 St. Joseph, Missouri - 1869 - After Lewis and Clark. the Pony Express and California Gold Rush days.